Nichterida restaurant at Livadaki in Larissa is a beautiful music taverna with greek cuisine. At this welcoming and friendly restaurant, you will enjoy greek specialities and traditional recipes along with live greek music. Food lovers choose Nichterida restaurant to eat well and have fun with both their friends and family. At Nichterida restaurant, you will taste local meat grilled, stew or fried, delicious appetizers, tasty local tidbits, greek stews and daily specials accompanied by good wine and fine greek spirits. 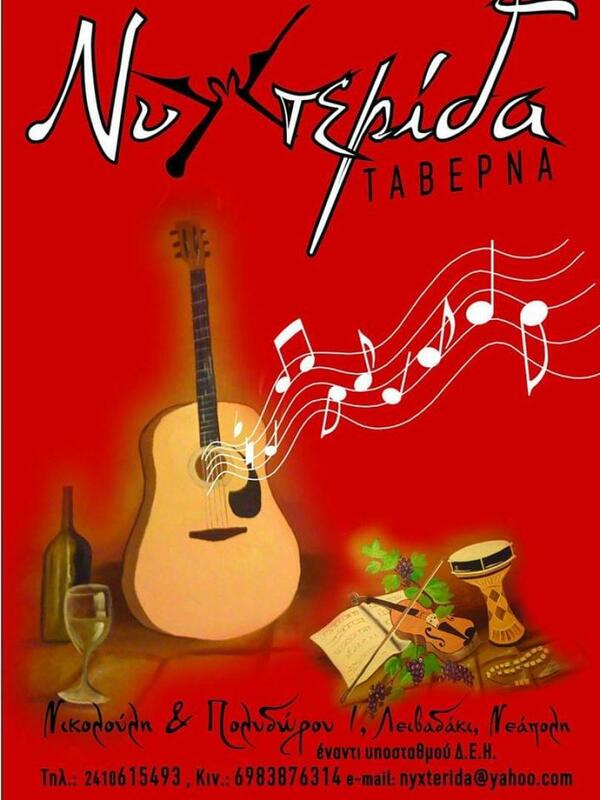 If you're looking for a taverna with live music in Larissa, where you could eat on a budget, Nichterida restaurant is a very good choice. Make a free reservation through e-table, gather points and get great discount and special offers on restaurants.